Tweet I proudly wear the Black Label colors. Zakk Wylde has created something special with Black Label Society. There’s a mutual respect among fans of the band. At the head of this society is ZakK Wylde. He’s one of the best guitar players of all time, a great songwriter and an all around bonehead. How can a guy this talented, who clearly dedicates himself to his craft be so laid back? 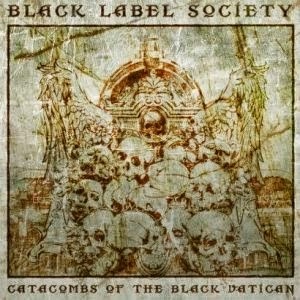 You can always tell when Zakk’s playing guitar, but on “Catacombs of the Black Vatican” it sounds like Zakk was experimenting with different tones and playing styles. I’m not smart enough to put my finger on it but it sounds like almost a whole other band. If I had to guess I’d say Zakk had been going through an Alice in Chains kick around the time he sat down to write.